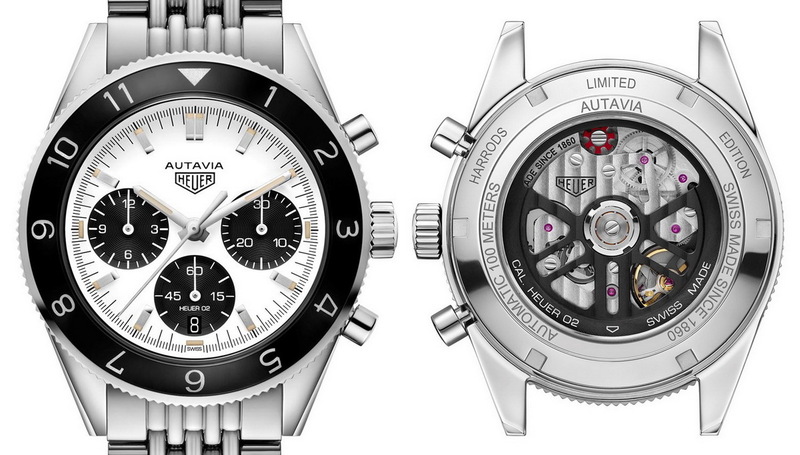 A few days ago, TAG Heuer announced this Limited Edition Autavia (150 pieces), available only through Harrods. Looks like a true panda (white dial, rather than silver) . . . faux patina on the lume . . . hour bezel. Similar to the Siffert LE, minus the blue accents. So, yes, it appears that TAG Heuer is working through many of the major color combinations, 100 to 150 watches at a time.